I had one of those moments the other day where an almost loss taught me how valuable something was to me. The ‘thing’ in question, was the name of one of my oldest toons. I had transferred my gnome mage to a new realm a couple of months ago. She had been flagged for a name change, despite the fact that no character on the new realm had the name that she did. I submitted a ticket about it then, and was told I needed to wait 30 days. The GM I spoke with believed that someone might have recently deleted a toon with the same name, which would keep the name reserved for 30 days. So I bided my time. I waited with the character flagged for two months, unable to play her at all. Finally, the 30 days had past. As soon as I was free to, I submitted another ticket about the name. But apparently, Blizzard had changed their policies in the meanwhile. I was invited to chat with a GM and was told that they can no longer unlock names. In the name of fairness, Blizzard now releases names in waves every expansion, and will no longer free up name upon request. I would not be able to keep the name of my first toon. In that moment, I realized how important the name had become to me. You might think it’s a silly thing; to become to attached to a couple of pixels worth of character name. But I was. It was important to me. The name might not have seemed like much, but it carried with it my history. 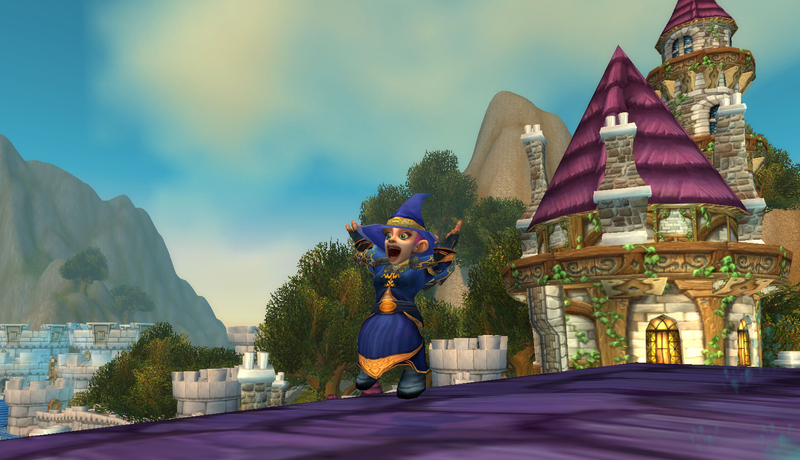 That gnome mage had to be called by that name, or else it would be someone elses’ toon. Not willing to give up so easily, I asked (probably more like pestered) the GM for a little while more. The name itself had some peculiarities to it (it was being reserved for no apparent reason and should have been freed up since the beginning) but there was nothing the GM could do. I finally asked if there was some sort of temporary name I could put on the toon so that I could access her stuff, but still wait till the next expansion to snap up the name when it became available. At this point, the GM told me to wait a moment. I was in a pug at the time of the chat so I sat with baited breath, waiting on his response (It was probably the worst healing I’ve done all expansion). About five minutes later, the GM was back. S/he had made an exception for my case and had released the name. I was ecstatic and logged off as quickly as the boss fight ended. The GM was true to their word. 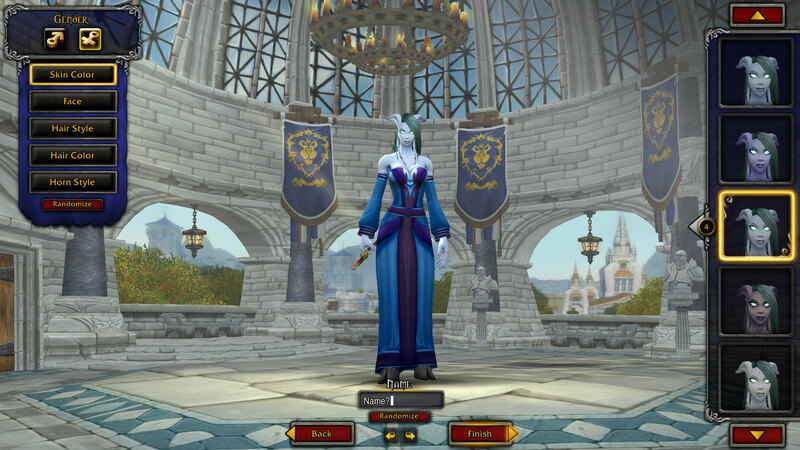 As I entered in the new named for my flagged mage, it was accepted and I was logged into the game world. My gnome mage kept her identity. I showered praise and thanks to the GM and we both went on our merry way. First things first, I want to express my extreme gratitude to that GM (I’ve withheld the name so I don’t get them in trouble). They went out on a limb to help me, a person they don’t even know. I meant it when I said they were my favorite GM ever. Their act of kindness made my week. Whoever you are, wherever you are GM, you have my enormous thanks. Secondly, EEEEEEK! I GOT THE NAME! After spending 2 months and $25 on that toon, I’m glad she’s finally back to her usual self. I hadn’t realized how important this was to me, but now that it’s finally finished I feel complete. While my gnome mage may no longer be my main, she is still one of my original characters, and the toon I invariably go back to. And the fact that she gets to keep that name, I feel like I get to keep all the history and personality associated with it. I think that’s what’s to a name. It’s more than just the consonants, vowels, and capitalization. It’s more than just the syllables and the sounds to it. It’s the history and the personality that has become associated with it. Its the memories of things past that you have achieved on the toon. It’s the Heralds of the Titans on my monk Yogapants. It’s the Ahead of the Curve Garrosh kill on my priest Elfster. It’s the countless raids and dungeons on my paladin Fussypants. The names carry with them what the toons have done. They define them. They expand them. My paladin is Fussypants because of all that she has done and achieved. Sure, entering the name in the character creation screen assigned the name. But the character owns the name by their actions. The toon, the name, and the history become one. So what’s to a name? A character, and all their achievements are what is to a name. Note: Fussypants is again going out of town next week, so there will be no blog post. Apologies in advance! I finally got to enjoy some good old fashioned Wrath timewalker dungeons this weekend (after missing the first weekend of timewalking). And while my only memories of these dungeons are from leveling, I still found the experience quite enjoyable! The first (and arguable the most exciting aspect for myself) thing that I noticed about timewalking was that it scaled down your gear to level. Not only did this help the level the playing field, but this also meant that gear from earlier expansions suddenly became relevant. I was taking Yogapants out for the timewalking spin, the character that I had done Herald of the Titans on. This meant I had a set of gemmed, enchanted, and totally awesome tanking gear saved in my bank from Ulduar. Even though I completed Heralds a few months ago, it felt pretty awesome to get back into my old gear. My transmog was saved as well, so I looked pretty amazingly stylish. I also pulled out my singular Warglaive of Azzinoth. If you’re going to do it, go whole hog! Now onto the actual dungeons. I had not actually completed these dungeons in heroic mode, so there were new mechanics (and in some cases, bosses) for me to learn. But they were the same dungeons that I had spent so many leveling trips through. The familiarity was welcoming. My gear and level was scaled down which also meant my health and damage were. As a tank, I found myself having to bust out more cooldowns than usual. I had to be on my toes for interrupts, CCs, and bursts of damage. While that took some getting used to, on the whole I enjoyed the increased difficulty. If these dungeons had been facerolls I doubt I would have done as many as I did. The gear dropped was admittedly rather boring. Sure, it brought back the iconic Wrath look (fur, spikes, and brown!) but the stats were meh. And everything I got was either critical strike (boring) or versatility (gross). While some of the gear was an upgrade for me, the stats were poorly itemized for my spec. I could just have been unlucky, but I would like to see some mastery, multistrike, or haste gear if at all possible. But I didn’t run the dungeons for the gear, I ran them for the experience. And on that front, they did not disappoint. I will admit it felt a little weird to be running in places like the Nexus and not watching an experience bar for a ding. On the whole though, I had a very enjoyable time. Would I want to see Timewalkers be an all-time thing? Not particularly, but as a holiday weekend activity they were quite fun! A recent interview between Mammytwink and Zecharia and Lead Game Designer Cory Stockton has revealed a lot of key details about future content in WoD. Namely Hellfire Citadel is most likely the last raid in Warlords and 6.2 the last content patch. While Blizzard gave themselves plenty of breathing room to add more content if it is needed, the fact remains that we are at the end stage of this expansion. Before I dive into a lengthy explanation of my opinion on the matter, I think it might be wise to review what this expansion has been thus far. A large chunk of time passes and WoD finally opens for beta testing. 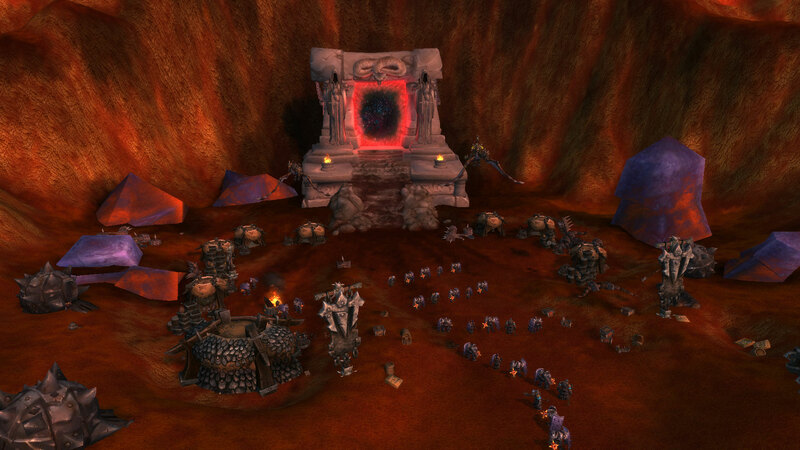 The Dark Portal opens and players pour into the timey-wimey alternate universe world of Draenor. First impressions are fantastic: questing is the best in game and the world looks beautiful. However, a lack of endgame content, weak profession design, and dependence on the garrison burns some players out rather quickly. The expansion costs $10 more than previous expansions. Despite being a major patch, 6.1 is rather light on content. 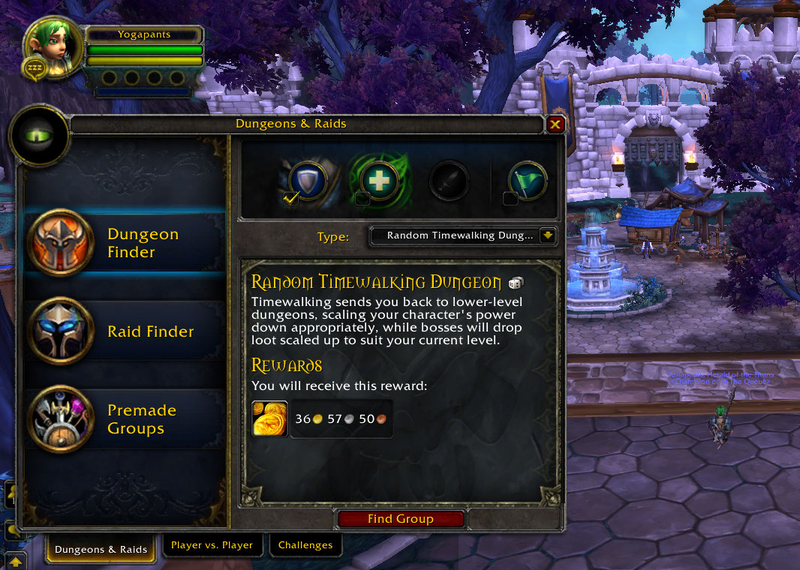 Twitter integration, the last of the new models, heirloom tab, and garrison changes are all added. General consensus is that this is a minor patch at best, and the leftover cleaning up from launch at worst. Shortly after, Blackrock Foundry opens up and the first raid tier is finished. 6.2 is the first patch with actual content added to the game. The patch brings Tanaan Jungle, the Shipyard, Hellfire Citadel, Mythic Dungeons, and assorted Bonus events such as Timewalking. Much of the content feels like final patch content and Tanaan bears many similarities to Timeless Isle. When you look at the overview of WoD, it seems truncated somehow. Almost as if we are missing a patch in between 6.1 and 6.2. On top of this, the endgame content and story has been rather weak. When you compare with Mists, the expansion just before, Warlords seems rather… lame. I think Blizzard’s attempt at pushing out content at a faster rate has seriously crippled the Warlords expansion. There was huge potential for an epic remix of Burning Crusade but what we got was not quite that. The WoD we got was a half finished ‘almost expansion’. Warlords hasn’t been all terrible though. I strongly believe that the leveling of this expansion is the best in game. The storytelling in the 90 to 100 experience is truly amazing. Cinematics, treasures scattered about, and all the little details help to build a complete and fantastic experience. And, the leveling experience is very repeatable. I truly hope that Blizzard recognizes WoD’s leveling experience for it’s strengths and uses the same design next expansion. The endgame unfortunately has been less successful. This has been covered time and time again, so I don’t need to go into much detail. The general idea was that there was little to do or nothing compelling, and after particularly strong leveling content this really showed. 6.2 being the last patch is slightly disappointing to me. Not because the patch itself is light on content (on the contrary, this patch could easily last myself personally a year) but because of the track record of the expansion. If we end Warlords like this, the expansion will feel unfinished and half done. No other expansion has felt this way. Even Cataclysm, for all it’s faults, felt like a whole expansion. Warlords as it is feels like it is missing parts. So I sincerely hope that Warlords is not over with 6.2. Maybe we will still go to Faralon? Maybe we can deal with the fungus that threatens to swallow Draenor? Maybe we can learn more about the titan influence on the planet? There are so many loose ends that Blizzard can pick from to tie up. Warlords needs at least one more patch to ‘complete it’. Because as it stands, Warlords has had exactly one patch with actual game content. Mists, the expansion right before had four. Four patches where new content, new dailies, new zones were added. In order to hold up to a precedent like that, WoD needs at least one more totally awesome batch of content. I suppose Blizzard could just cut their losses now and wrap up Warlords quickly but that will stain their reputation. And while Warlords was an ‘almost’, it shouldn’t be a stain.